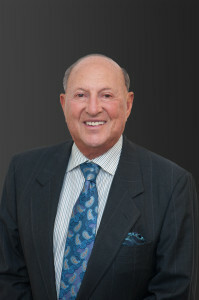 Mr. Silver is a founding partner of the firm. Mr. Silver represents a variety of both mature and growing companies in the retail, wholesale, service, and manufacturing businesses together with high net worth individuals and families. Mr. Silver is a member of the Virginia State Bar and the District of Columbia Bar. He is enrolled to practice before the U.S. Tax Court, U.S. Court of Appeals, District of Columbia Circuit and the U.S. Supreme Court. Mr. Silver is a member of the District of Columbia Institute of Certified Public Accountants and the Washington, D.C. Estate Planning Counsel. Mr. Silver has negotiated a wide variety of mergers, acquisitions, joint ventures and license agreements in Europe, the Americas and Asia. He also advises clients on business and strategic planning, negotiations, economic analysis and sophisticated financial planning. Mr. Silver has an extensive background in taxation and lease negotiations. He has negotiated with most major United States mall developers on behalf of many multi-store operators. Mr. Silver has also had extensive experience in Income and Estate & Gift Tax Planning as well as income, estate and gift tax litigation matters. Mr. Silver has served as Chairman of the National Law Alumni Board and has served on the Board of Visitors for Georgetown University Law Center and has served on the Board of Governors and as a member of the Executive Committee thereof for Georgetown University. Mr. Silver has served on the Board of Directors of the Lehigh University Alumni Association and currently serves on the Dean’s Advisory Council for the College of Business and Economics of Lehigh University. Mr. Silver received his baccalaureate degree with honors and his MBA from Lehigh University, and his Juris Doctor from Georgetown University. He has taught economics, accounting, and economic statistics at the university level and has lectured in the areas of taxation, business management, negotiation strategy, retail real estate, and franchising.